These cards only relate to Anglican (Church of England) clergy who applied to become Temporary Chaplains to the Forces (T.C.F.) between late October 1914 and November 1918. The vast majority of the candidates were interviewed by the Chaplain-General; Bishop John Taylor Smith. As Chaplain-General he was responsible to the recruitment of Church of England chaplains only. Other denominations had their own structures to oversee the recruitment of chaplains. 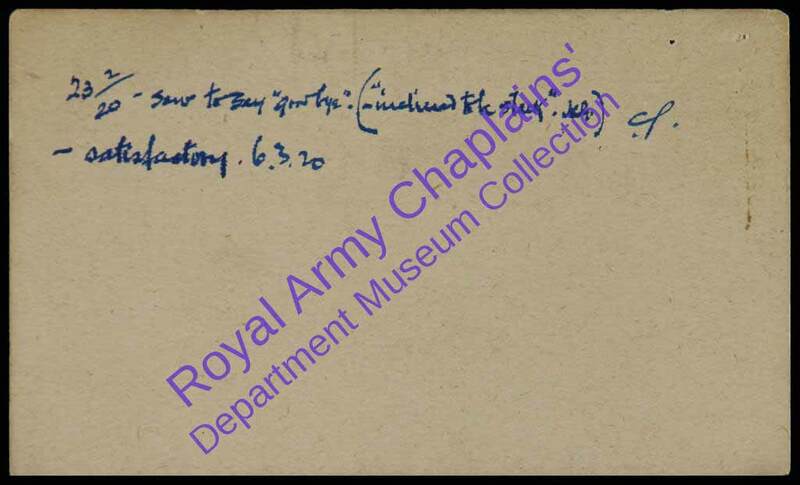 C of E clergy applying to become chaplains had to attend an interview at the War Office in London, were the Chaplain-General had his office. They were asked a series of questions. Many chaplains memoirs refer to their initial interview with the Chaplain-General. 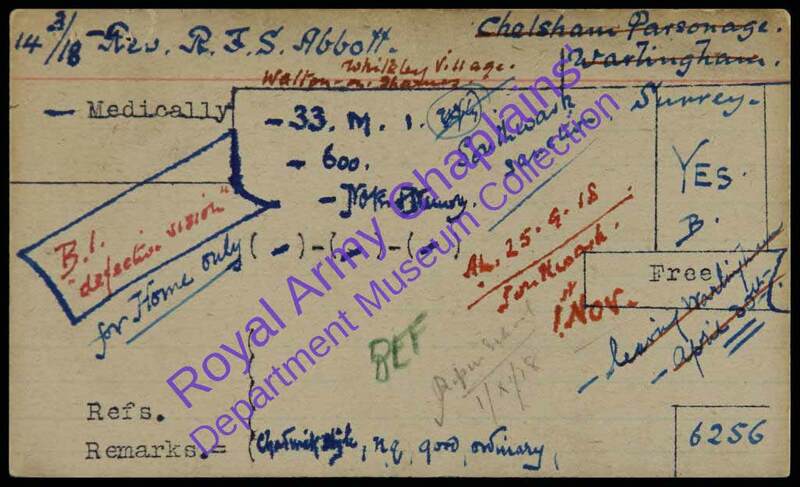 The personal Service Records for Army Chaplains who served during the First World War and who left the Army before 1922 are held at the UK National Archives in Kew in Series WO 339. Not all the Service Record files have survived. The main files were destroyed in the Blitz in the Second World War. Hover over or touch the report cards below, to reveal information. Many of the cards have pencil notes on the reverse.